There are many reference managers available online. Few come with powerful enterprise-wide literature sharing capabilities. And none come loaded with Article Galaxy’s ability to purchase or rent journal articles on the spot. Meet Reference Manager. 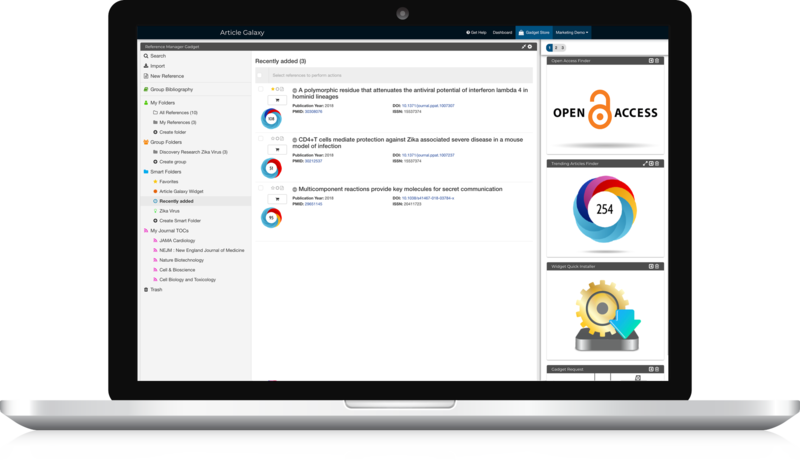 Your single-source solution for scientific search and discovery, one-click literature access, bibliographic reference management, and copyright-managed PDF collections. Powered by Article Galaxy, Reference Manager provides trusted security and compliance at every step of the workflow. Group Bibliography* enables a copyright-compliant library of scientific literature—where everyone in your organization can securely access and share your collection of previously acquired PDF articles for which re-use licenses exist. * Exclusively available with Enterprise subscription and suitable copyright permissions. 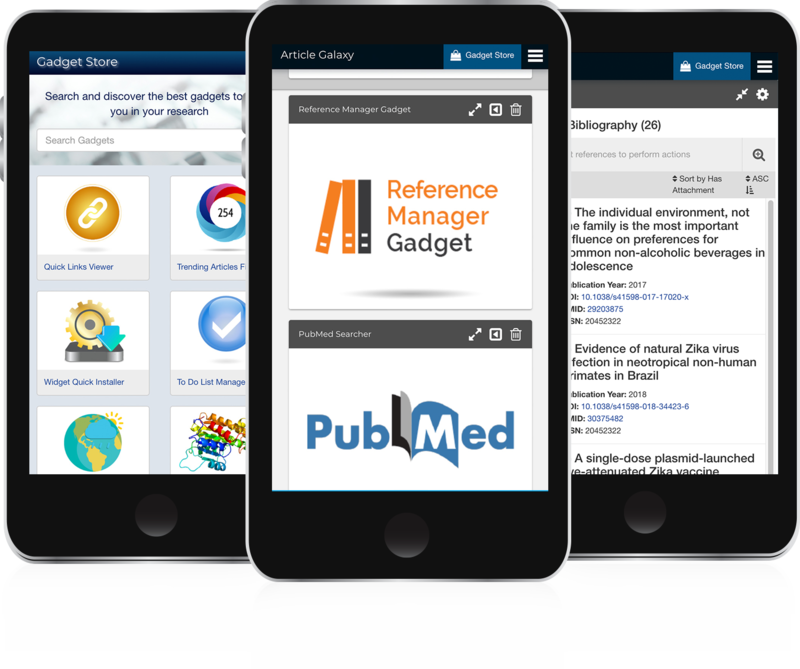 Search for content within your Reference Manager folders; across the entire PubMed database; or from 15,000 journals across 26 scholarly publishers—and access documents directly from your search results. 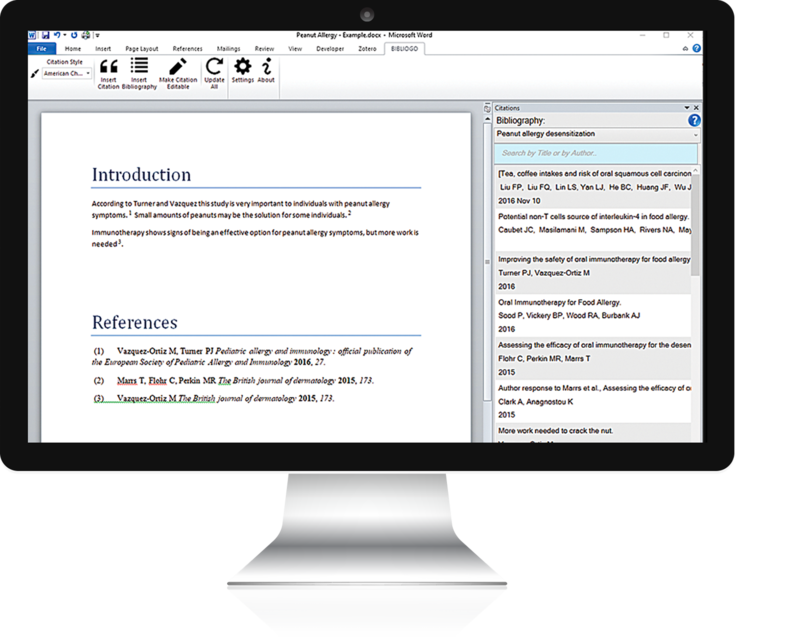 Microsoft Word add-in connects Word to Reference Manager for fast, efficient citing. Simply install the add-in, connect it securely to Reference Manager—and begin writing and citing. It’s that easy! Stay organized with simple yet powerful reference management features—ranging from tagging to color-coding to group sharing. Import citations and PDF files via simple drag and drop functionality. 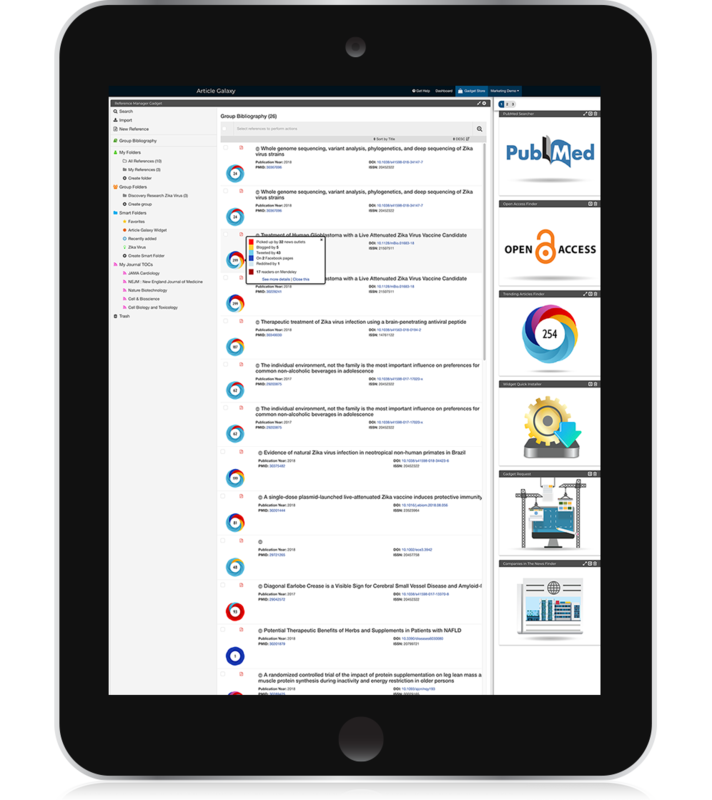 Automate discovery with journal TOC feeds and self-populating bibliographies.